Chrome steel and 18k everose gold case with a chrome steel and 18kt everose gold rolex jubilee bracelet. Fixed – domed 18k everose gold bezel. Silver jubilee dial with rose gold-tone hands and diamond hour markers. Dial Sort: Analog. Date display on the 3 o’clock position. Rolex Calibre 3135 automatic movement with a 50-hour power reserve. Scratch resistant sapphire crystal. Screw down crown. Spherical case form. Case size: 36 mm. Concealed crown clasp. Waterproof at 100 meters / 330 feet. Purposes: date, hour, minute, second, chronometer. Luxury watch taste. Watch label: Swiss Made. 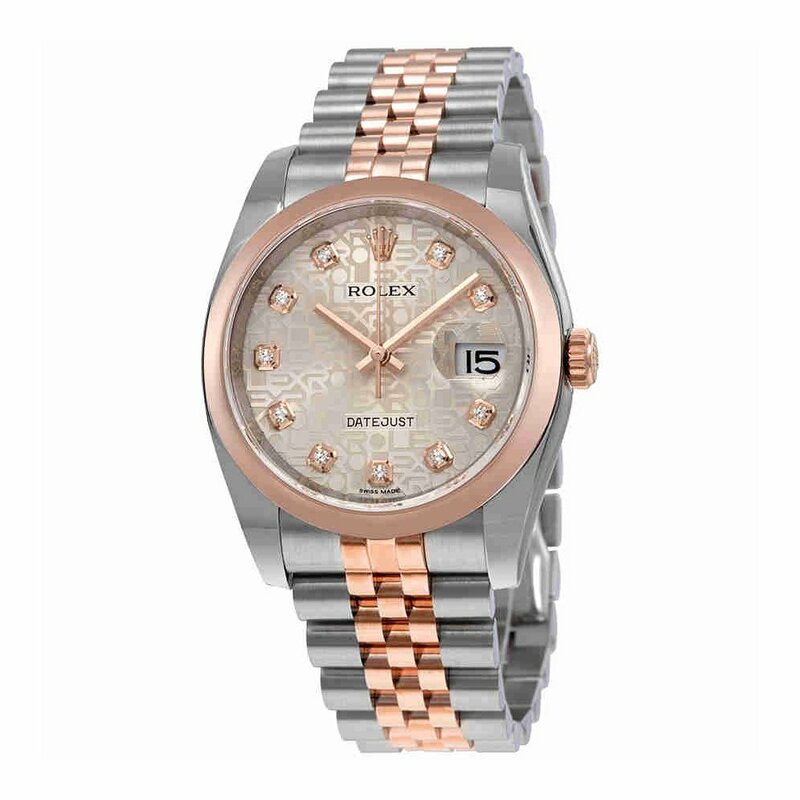 Rolex Oyster Perpetual Datejust Silver Dial Stainless Steel 18K Everose Gold Diamond Women Watch 116201SDJ.